Nuclear Tipping Point (2010) is a documentary film written and directed by Ben Goddard that elaborates on the issues raised in that WSJ article and discusses the specific proposals to eliminate nuclear weapons put forth by the four principals. Although I have some reservations about the film as it is presented, let me affirm at the outset that the overall issues raised here are so important that they demand immediate action and should be brought to everyone’s attention. While the common currency these days may be gloom about the effects of global warming, people seem to have lost sight of an even more grim vision that permeated the Cold War of the past few decades: the near-expectation of impending nuclear annihilation. Nuclear Tipping Point reminds us of that horrific possibility by bringing to attention a few dismaying facts about nuclear weapons that persist to this day. Nuclear Warheads. There are still tens of thousands (~22,000) of nuclear warheads today that are held by the nine current nuclear states (Russia, United States, France, China, United Kingdom, Israel, Pakistan, India, North Korea). While this is perhaps less than a third of the number of nuclear weapons, worldwide, at their peak in the 1980s, it is still enough to eradicate m0st of life on this planet. Launch on Warning and MAD. 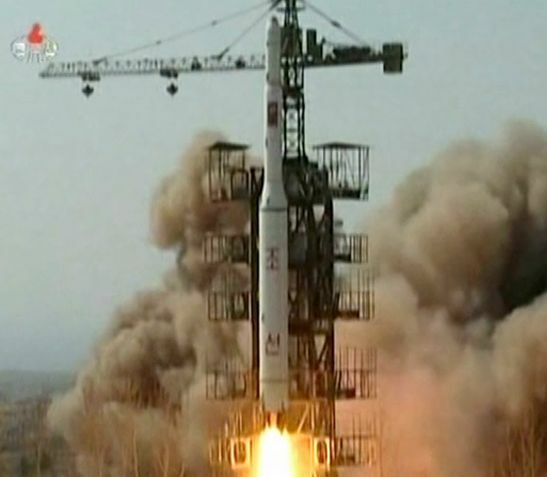 Because a nuclear-armed Intercontinental Ballistic Missile (ICBM) would take at most 30 minutes to reach its target, the US and Russia have implemented “launch on warning” tactics. 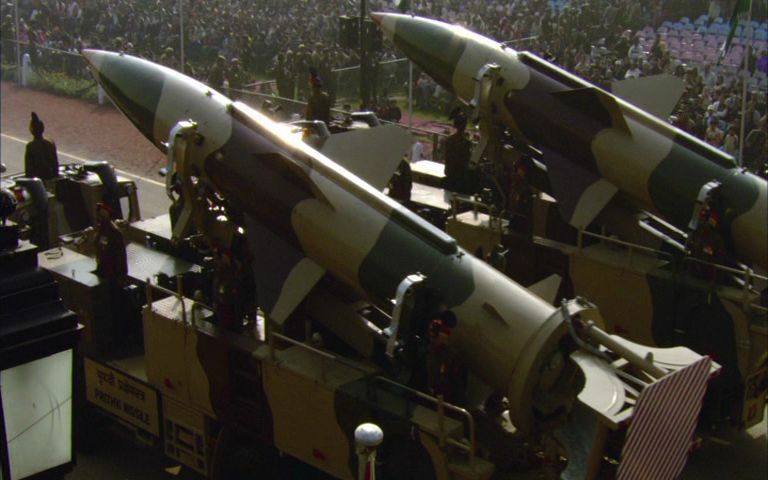 This is based on the idea that a country under the threat of a nuclear strike has only minutes to launch its own nuclear counterattack before its own strike capabilities might be wiped out. The launch-on-warning strategy thus entails launching a massive retaliatory nuclear strike immediately on the warning of an enemy strike. Given such severe time constraints, there have always been unanswered questions concerning who in the command chain could authorize a massive nuclear counterstrike. Such consideration have led to the strategy of “Mutual Assured Destruction” (MAD), which posits that the only d efense against a nuclear threat to is to guarantee mutual annihilation of the two adversaries. This would supposedly make a nuclear strike “unthinkable”. Frighteningly, the MAD nuclear strategy (in its various forms) has been the received doctrine and has presumably been operational over much of the Cold War. Mistakes Happen. The precarious standoff of MAD is dependent on mistakes not happening, but mistakes have happened in the past. 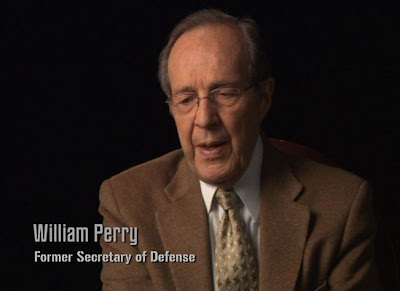 Some of the principals in the film point out that false nuclear attacks were reported and that US B-52 bombers were sometimes mistakenly flown across the US with armed nuclear weapons. 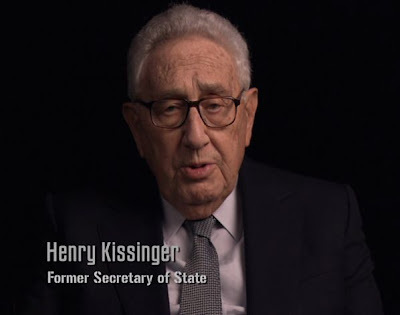 We don’t know how many of these potentially catastrophic mistakes have occurred, but Henry Kissinger reports that he knows of perhaps five, even under stringent US military fail-safe operations. There is no reason to assume that Russia and the other nuclear powers have not had similar close-calls. Terrorism and a Nuclear Black Market. Of course for MAD to function, the two adversaries must act in their rational, material self-interests. This can not be presumed in the case of terrorists willing to carry out suicidal missions. Furthermore the existence of routine, open shipping of enriched, reprocessed nuclear materials has led naturally to a nuclear black market. 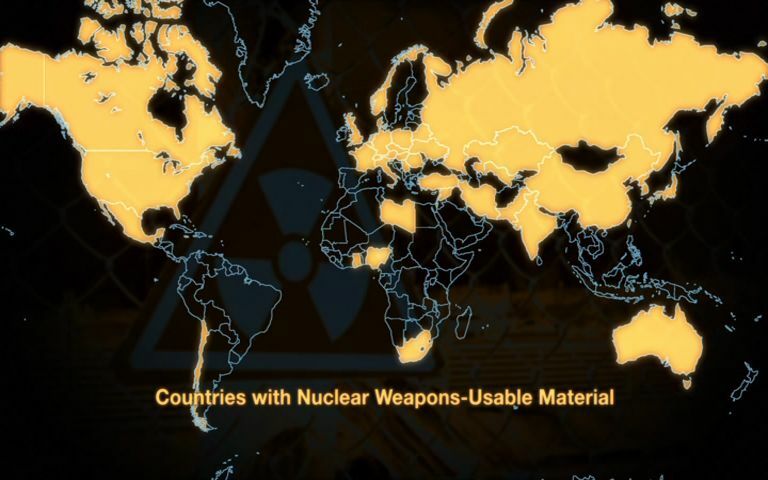 It has been difficult to police and throttle this nuclear underworld (think of A. Q. Khan’s clandestine network), which means that nuclear materials are increasingly available to terrorist organizations and rogue governments bent on acquiring nuclear weapons. Changing the Cold War posture of deployed nuclear weapons to increase wa rning time and thereby reduce the danger of an accidental or unauthorized use of a nuclear weapon. Initiating a bipartisan process with the Senate, including understandings to increase confidence and provide for periodic review, to achieve ratification of the Comprehensive Test Ban Treaty, taking advantage of recent technical advances and working to secure ratification by other key states. Halting the production of fissile material for weapons globally, phasing out the use of highly enriched uranium in civil commerce, and removing weapons-usable uranium from research facilities around the world and rendering the materials safe. Redoubling our efforts to resolve regional confrontations and conflicts that give rise to new nuclear powers. Achieving the goal of a world free of nuclear weapons will also require effective measures to impede or counter any nuclear-related conduct that is potentially threatening to the security of any state or peoples. Ensuring that we have effective means to verify compliance with nuclear commitments and to counter nuclear-related conduct that is potentially threatening to the security for any state or peoples. Further discussion of these goals, as well as associated activities in their pursuit, is provided at the group’s Web site, The Nuclear Security Project, and a free DVD of the film can be ordered from the film’s Web site. Despite its worthy objectives, however, the Nuclear Tipping Point suffers from some limitations. One problem is the production, itself. 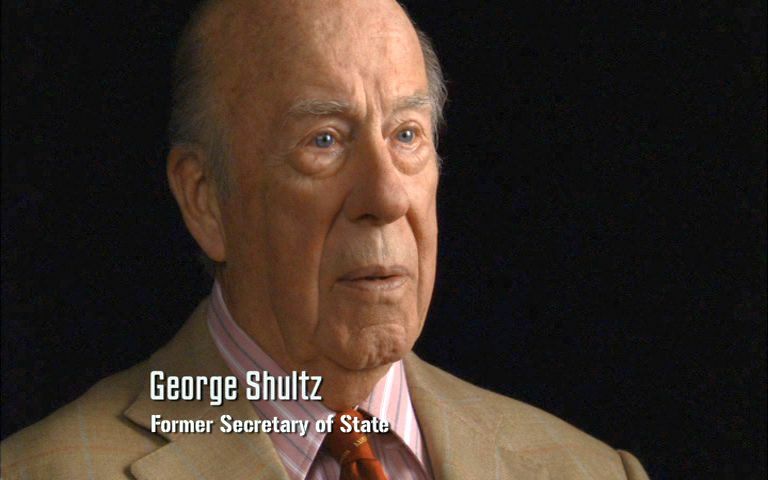 Goddard’s film is mostly a sequence of talking heads – primarily Schultz, Perry, Kissinger, and Nunn, but also with some other figures, including an introduction from former Secretary of State and Chairman of the Joint Chiefs of Staff, Colin Powell. None of these are riveting speakers (three of them are octogenarians), and weaving their testimony together falls short of a compelling narrative. This interview material is interspersed with largely meaningless stock footage of weapons systems, or the smiling faces of cherubic foreign children, that appear to have little semantic import. Moreover the invocation of “tipping point” in the title may be trendy, but it is off target. Nowhere over the course of the film does the theme of a tipping point emerge. In fact the world has not just suddenly arrived at a critical tipping point that could tilt towards a nuclear disaster – on the contrary, we have been on the edge of disaster for more than fifty years. Also, the narration voiceover provided by Michael Douglas has an nervous, edgy, and insistent tone that wea rs on the viewer after awhile. It would have been better to have a more calm, authoritative narrative voice appropriate for the gravity of the situation. 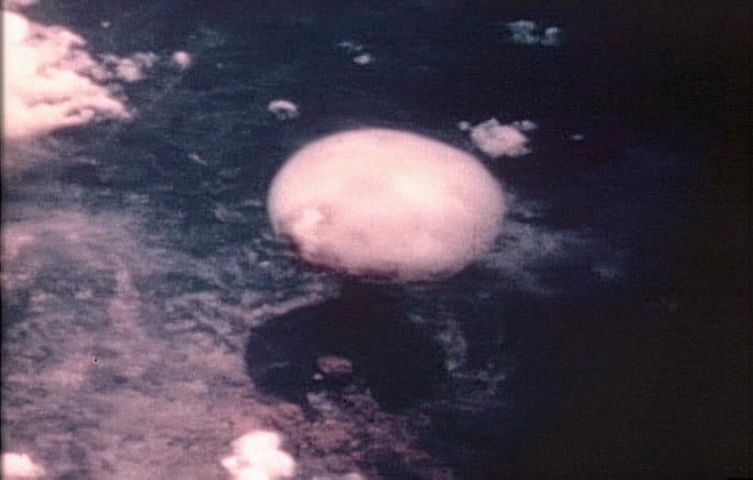 Thus on purely cinematic terms, the presentation Nuclear Tipping Point is pedestrian, and the documentary thesis is repititious and lacks any real narrative development. Another area of concern is the collective perspective of the four principals. Although they ostensibly represent a politically bipartisan group (since Kissinger and Schultz were officials in Republican administrations, while Perry was an official in a Democratic administration and Nunn was a Democratic senator), they were all Cold War Warriors and on the hawkish side of the political spectrum. 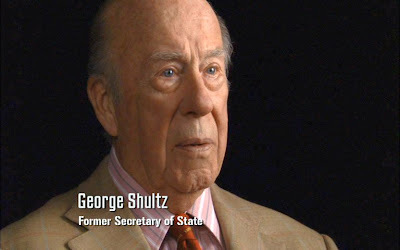 Both Schultz and Perry, for example, are Fellows of the Hoover Institution, a conservative thinktank associated with the Republican Party. All of them, as far as I can see, believed in the supposed effectiveness of Mutual Assured Destruction (MAD), even though that policy was a reckless and dangerous strategy that we have been lucky, so far, to survive. MAD was a theoretical game-theory notion that could not realistically be expected to operate flawlessly in the real world, where mistakes and irrational decision-making appear from time to time. Admittedly, the four principals agree that the current climate of suicidal terrorism renders MAD ineffective, but if these people at one time believed in MAD, can we trust them to make wise decisions now? After all, suicidal and apocalypse-inducing behaviour is not a recent invention, and taking account for it was necessary during the Cold War, too. Furthermore, George Schultz repeats the old mantra that the Hiroshima and Nagasaki bombs effectively ended the War in the Pacific and ultimately saved lives. This I consider to be a falsehood, and I invite readers to consult Ward Wilson’s Rethinking Nuclear Weapons to read an emphatic debunking of that myth. Schultz (and presumably the others, too) is a man who still retains some belief in the efficacy of nuclear weapons. But in fact the possession of nuclear weapons is not an asset, but only a detriment to national safety, because such a condition only makes that country a target for a nuclear attack from other powers. And as a military instrument, the indiscriminate destructiveness of nuclear weapons is only effective for mass annihilation of human life and not for the dismantling of military targets. In my view the present nuclear arsenals around the world do not serve any useful purpose, other than for hopefully attracting some sort of misguided political prestige (again, consult Ward Wilson’s writings on this score). Requires High Security. Nuclear power installations require significant security mechanisms and procedures in order to insulate them from sabotage. These procedures are not conducive to an open and free society. Contributes to Industry Concentration. Nuclear power is based on a few, high technology installations generating power in a handful of locations, which reinforces industry concentration into the hands of a few players. It is better, other things being equal, to invest in technologies that are widely distributed and localized, an inherently more fail-safe approach that avoids the single-point-of-failure vulnerabilities of concentrated industries. Moreover such centralized foci of control are difficult to manage politically and generally contribute to highly uneven wealth distribution. In addition the deployment of nuclear energy installations entails dependency on remote control institutions for fuel reprocessing which may be subject to political vicissitudes outside local influence. Not Economical. Nuclear power has never been shown to be economically competitive compared to other energy-producing technologies when all costs (such as indemnity and waste processing, which are often covered by governments) are considered. There is reason to believe that alternative technologies, such as coal conversion, sea current turbines, wind turbines, solar power, etc., will always remain economic ally preferable. Nuclear power plants are complex and can suffer from catastrophic breakdowns. Should an accident occur, then the local population near a plant must suffer a disproportionately high level of damage and injury compared to the overall population. There are also still-disputed claims that low-level background radiation from nuclear power plants has adverse long-term health consequences. Once a heavy investment is made in nuclear technology, the pressure from existing economic stakeholders tends to dismiss negative reports on nuclear power safety. The problem of what to do with spent fuel has never been adequately addressed and has largely been underwritten by military programs that already must deal with this problem as an unavoidable necessity. Thus my reservations about the fundamental message of Nuclear Tipping Point are not concerned with the basic opposition of the four principals to nuclear weapons, but whether they are opposed enough! It is a worry that the four principals accept that it may take at least a generation before we can achieve the goal of a world free from nuclear weapons. Is this time frame acceptable? Can we afford such a leisurely approach? I think not. In fact a better, more thoughtful proposal for the elimination of nuclear weapons is expressed in Toward True Security, published by the Union of Concerned Scientists (2008). On the other hand, it is necessary to appreciate what has been accomplished by the initiative documented in Nuclear Tipping Point. The four principals – Schultz, Perry, Kissinger, and Nunn – even from their military-tactics-dominated perspective, have indeed issued a call for a world free of nuclear weapons. That in itself is a significant step, because it is so superior to the proposals from other right-wing commentators who have called for nuclear “damage limitation” – a dangerous proposition that attempts to maintain nuclear weapons as a military instrument (cf. 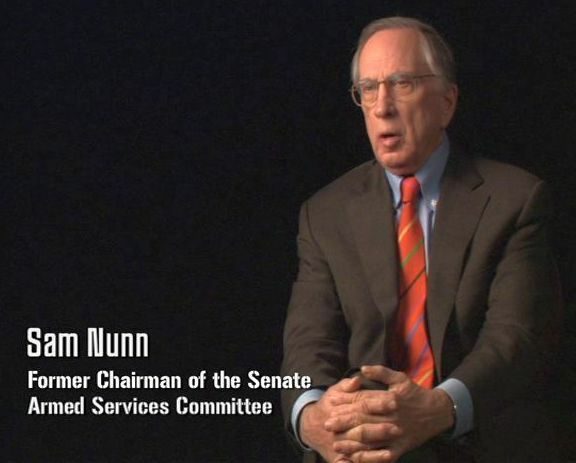 The Union of Concerned Scientists’ document, “Debunking the Damage Limitation Strategy”, 2008). Schultz, Perry, Kissinger, and Nunn hopefully have the stature and prestige to sway the thinking of the military elite away from such errancy and make a real difference. Thus their voices, and this film, could ultimately make a powerful contribution towards a safer world, free from the threat of nuclear devastation. So go ahead; order a free copy of this film and discuss it with others. Was not aware of this film. Clearly not a CG fantasy/blockbuster...tweeted it on twitter - hoping this helps spread awareness of Goddard's documentary. I'm so glad I found this site. You are prolific, sir. Very impressive assortment of articles and incredible depth and breadth. I want to know if you'd be interested in collaborations or, at the very least, a link exchange with my website, Cinelogue.com. Contact me at m.a.mesaros@gmail.com and I'll send you some more info.